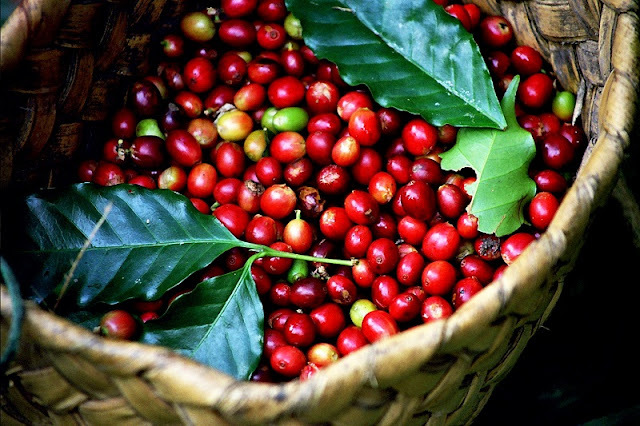 Buon Ma Thuot city in Dak Lak province is known as the capital of coffee. This central highlands city is famous for its excellent coffee and numerous cafes. Buon Ma Thuot was built over 1 century ago, when the French people were still in Vietnam and built the ruling fortress in this area. Before becoming a city, this land was a very big village with over 50 Long Houses (Nhà Dài – a unique house of ethnic groups in Highlands), each of which is home to 30-40 people. The entire village was led by the chief Ama Thuot (Ama Thuột) who is very reputed and powerful. Nothing is easier than drinking a cup of coffee in Buon Ma Thuot. All the streets in the city are lined with little cafes. Some have romantic names like “Purple afternoon”, “Moon Light”, “Hyacinth”, or “Mimosa”. If you want to enjoy your coffee in a quiet atmosphere, you should go to the "Green Bamboo", "Dandelion", “Little Alley”, or "Now and Then", all of which offer a shady garden. The “Sun", "Rock" and "Melody" cafes, on the other hand, cater to a very young clientele. Trung Nguyen coffee village in the center of Buon Ma Thuot is surely the place that attracts the most tourists. Covering ​​20,000 square meters, the café embraces the architectural style and cultural identity of the Central Highlands. The café does double duty as a museum dedicated to the history of coffee growing in Vietnam and around the world. 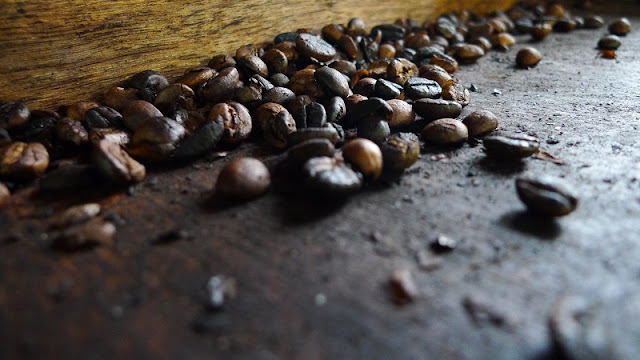 Here, you can of course, enjoy a good cup of coffee, but you will also learn a lot about coffee: its history, coffee drinking cultures in Vietnam and other places around the world like Ethiopia, Turkey, and Italy, coffee harvesting and processing, preparation, and especially the art of tasting. In addition to Trung Nguyen’s G7 brand coffee, various other types of coffee are on offer in this café like Cappuccino, Latte, L’mour, Mother Land and Red Rose as well as Weasel, Legendee, and Passionate. After the visit, you'll be a coffee expert. H'Thanh K Po, an Ede ethnic and professional guide said:"After picking, the beans are dried. Once dry, they are peeled. We use a wooden mortar and pestle to do this step. After that, we roast the coffee and then use the same mortar to grind the roasted beans. Finally, we simmer the coffee in a bag”. Local coffee gourmets prefer to prepare the coffee themselves. They select the coffee beans, and dry and roast the coffee themselves. Some cafes in Buon Ma Thuot perform all the stages of coffee processing and preparation for their customers. Vu Van Diep is a regular customer of the "Moc" Café: "The real taste of coffee is in black coffee. That is why we buy beans and prepare the coffee ourselves at home. Black coffee tastes a bit sour and bitter but I find it delicious”. Central Highlands has 2 seasons: rain (May to November) and dry (the rest time of year). In rainy season, roads are very difficult to travel because many roads are still earthern. It is more ideal to travel in the first months of dry season, when the weather is still cool and not too hot. Additionally, you should also consider travelling in the time of festivals: In December when rainy season just finished, Buon Ma Thuot generously offers their visitors with many major festivals. This is also the most beautiful time when Japanese sunflower (hoa dã quỳ) at its fullest bloom and paint a bright yellow wherever you set your eyes on. Elephant race festival (a major festival in Highlands) is held annually in March in Buon Don village. In the every early morning, cafes in Buon Ma Thuot are already full of customers because drinking coffee has become a habit of local people. If you also need a "little black" to start your day, go to Buon Ma Thuot. However, if the conditions do not allow you to still enjoy these unique coffee in Hanoi capital that taste remains unchanged. Being a coffee fan, Vietnam tours is an undeniable destination!